We provide advice to insolvency practitioners, creditors, directors, company officers, corporations and individuals on formal insolvency appointments and business recovery and reconstruction strategies. Our approach is always outcome driven. We offer a full range of services for all aspects of insolvency, restructuring and turnaround matters. We have extensive experience with the full range of external administration, personal insolvency and bankruptcy appointments. Our clients include many of Perth’s most respected insolvency practitioners. We aim to provide prompt commercially focused advice while remaining at all times personally accessible. 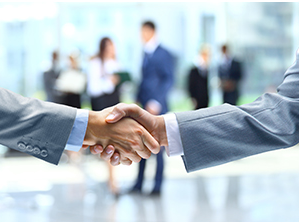 We have provided advice and representation in many complex external administrations across all industries. This has included specialised advice in relation to the Bell litigation and recovery; and asset realisation claims and actions in relation to Great Southern Finance and Geneva Finance. In addition, on a daily basis, we assist insolvency practitioners with the many and numerous issues that exist with the management of corporate and personal insolvencies. argued wind-up and bankruptcy proceedings. Our clients include high net-worth individuals, Small and Medium-sized Enterprises (SMEs) and their associated officers, shareholders and related parties. We aim to assist in the prompt recovery of debt for creditors. For those facing insolvency scenarios, we aim for sound practical and commercial advice. We have provided advice and representation in a diverse range of matters over the course of an extensive period of practice. This includes advice and representation for individuals concerning shareholder disputation, oppression and just and equitable wind-ups in relation to the hospitality, mining, construction, health, agriculture and property businesses.